In 1990, he created a sensation with his hip-hop single, Ice Ice Baby. 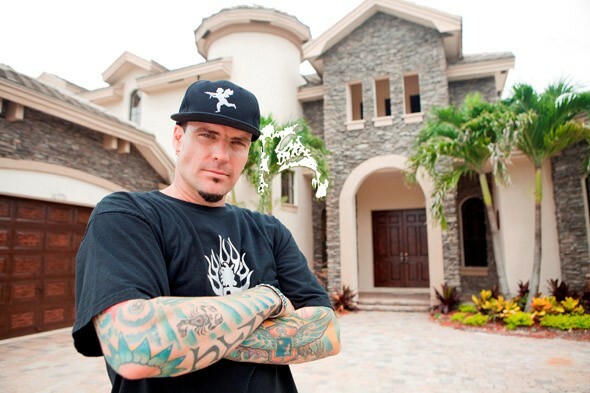 Two decades, several public controversies, and many life lessons later, Rob Van Winkle emerges from the shadow of his alter-ego, Vanilla Ice, to debut a mellow, more mature attitude and a new show, The Vanilla Ice Project, on the DIY Network. We spoke exclusively with the rapper-turned-remodeler about his life in and out of the public eye, and how he found solace as a professional DIYer. When you hear the name Vanilla Ice, you probably think of the young, cocky rapper who exploded onto the music scene with his 1990 hit, Ice Ice Baby — the first hip-hop single ever to top the Billboard charts. You probably would not imagine the serene, grounded, knowledgeable gentleman I spoke with by phone recently following an appearance of his in London. During his early adulthood and beyond, Vanilla Ice — born Rob Van Winkle in 1967 — drew both fame and disdain for his outsized personality, over-the-top outfits and hairstyles, and — a bit later — his onscreen rants while destroying sets on MTV and VH1’s The Surreal Life. While most of these antics happened years ago, they live on in YouTube clips and the collective public memory. 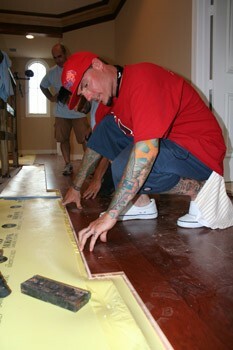 Most recently, Rob landed his own half-hour series, The Vanilla Ice Project, which premieres October 14th on the DIY Network. In it, he chronicles his experiences flipping a 7,000-square-foot mansion in Palm Beach, Florida. DIY Life: How did you get into flipping (buying, fixing up and selling) homes? Rob: I learned to invest in real estate by accident. When I was in my early 20s, I earned a ton of money; about $20 million. I’m not a rocket scientist. I don’t know anything about the stock market. So I thought, “Ok, I’m going to buy a home in L.A. because I work a lot in L.A.” I bought a home in New York City too — on Bleecker Street in [Greenwich] Village — because I’m there 3 or 4 months out of the year. And I bought myself a ski resort house in Snowbird, Utah. For three years I was on tour around the world. Finally I went back home and looked [around my] houses. No one had been there, and there were cobwebs in the corners. I stood there going, “Gee, I spent all this money on these houses and haven’t used any of them. [I’ll just] sell ’em all and if I need [someplace to live] I’ll rent something.” When I sold the homes, I made money on every single one of them — hundreds of thousands of dollars. I thought, “You’ve got to be kidding me. It can’t be this easy.” Of course, that’s when real estate was really good (in the 1990s).